CRPE contracted with the National Center for Special Education in Charter Schools (NCSECS) to conduct case studies on school models and practices that effectively serve students with special needs. This brief highlights how a New York City charter school is using a positive, inclusive environment and restorative discipline practices to improve outcomes for students with disabilities. WASHINGTON — At the age of 3, Tyrone Colson was diagnosed with Prader-Willi syndrome, a genetic abnormality that is often accompanied by developmental disabilities. Because of this diagnosis, an individualized education plan (IEP) — documents detailing Colson’s special needs, and a plan for how his school would help him reach his potential — was already in place when Colson arrived for his first day of school. In theory, being diagnosed before he even started school should have given Colson a leg up. The odds he faced, as a black boy in special education, were actually stacked against him. “The services are out there, but a lot of times, parents of color just don’t have the information and resources they need to fight for them,” said Daisy Brown, Tyrone’s mother. Brown spent years pushing schools to follow the law, after giving up her job doing administrative support work for a government relations firm. White students with special needs are far more likely to graduate with a traditional diploma than are their black and brown peers. In ways big and small, the effects of race and racism magnify the negative consequences that often come with being placed into special education. Not only are nonwhite students more likely to be assigned to lower-resourced schools that struggle to provide them with the services they are entitled to, but navigating the special education system often presents unique challenges for parents of color, experts say. A Hechinger Report analysis of federal data exposes the stark racial gap between different groups of special education students. Nationally, 76 percent of white students in special education who exited high school in 2014-15 earned a traditional diploma. That falls to 65 percent for Hispanic students and 62 percent for black students with special needs. But those racial gaps are much wider in some states. In Wisconsin, 84 percent of white students in special education who exited high school in 2014-15 earned a traditional diploma, while just 53 percent of black students and 71 percent Latino students with disabilities did so. In Nevada, which has some of the very worst outcomes in the country for students with disabilities, just 17 percent of black students and 27 percent of Latino students exited with a regular diploma. Nearly 40 percent of Nevada’s white students with special needs received a diploma. In essence, a special education placement exacerbates racial inequalities seen throughout the education system. Experts say black and Latino parents often feel ignored and belittled at meetings with school officials, and their special-needs children are more likely to attend schools in high-poverty districts that lack the resources to provide them with the services they need to catch up. Paul Morgan, an education professor at Pennsylvania State University, said that the economic disadvantage often faced by black and Latino special-needs children has been exacerbated by the way Congress funds special education. 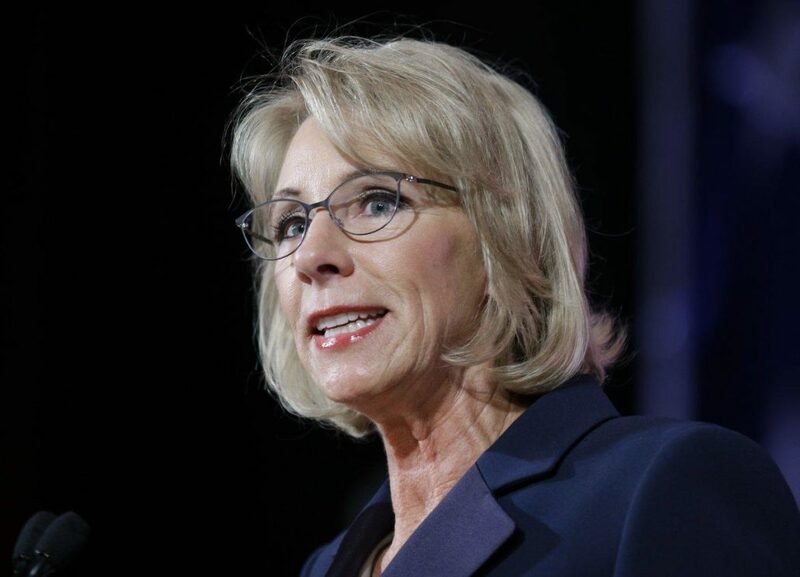 The federal government has failed to pay 40 percent of the “excess cost” of educating children with disabilities, a responsibility outlined in the Individuals with Disabilities Education Act (IDEA). The burden of making up for those unfunded expenses falls on schools, and particularly hard on the poorer school districts that disproportionately serve black and brown students. But the problem runs much deeper than differences between school districts. In Washington, D.C., where there is just one school district, 77 percent of white students with special needs who exited during the 2014-15 school year left with a diploma, while just 57 percent of their black and Latino peers did. Morgan’s research demonstrates that even when children in the same schools display the same needs, white English-speaking children are more likely to receive the services that they need to excel. Even a well-informed parent like Daisy Brown, who spent hours on the Internet researching special education services after she became her ailing mother’s full-time caretaker, hit roadblocks when she tried to advocate for her son. In middle school, administrators wanted to cut back the number of hours of speech therapy Tyrone received from one and a half hours a week to half an hour per week. Brown was certain that her son would fall behind without those extra hours, so she used Tyrone’s health insurance, a Medicaid program for children with disabilities, to get him help from outside services. Brown picked him up every Thursday afternoon to go to a local hospital to get the additional therapy. For the next five years, Therapy Thursdays became a family tradition. The next hurdle came while Colson was still in middle school, when Brown realized that he had been placed on what is called the certificate track, which meant he would graduate with a certificate of completion, an alternate diploma that is not recognized by most colleges and employers. That began a four-year-long fight to get him onto the diploma track. “I just wasn’t going to let them put him on the certificate track, where they just give them a piece of paper so they could work at a gas station,” said Brown. Colson, who is on the autism spectrum, initially had trouble using and comprehending complex words, but thanks to the additional therapy he received, Brown felt he had made great strides. But school administrators ignored that progress, Brown said. Around the country, black and Latino students are far more likely to be put on the track toward these alternative diplomas. During the 2014-15 school year, the most recent year of available federal data, more than 37,000 students with special needs graduated with a certificate instead of a diploma. And while black and Latino students made up just 45 percent of students who exited the special education system that year, they made up 57 percent of those who received a certificate. White students, on the other hand, were much more likely to leave high school with a traditional diploma. Brown eventually used Tyrone’s insurance for a second evaluation, outside of the school. “The school’s evaluations will tell you that the school is giving the child exactly what they need,” said Brown. The outside evaluation convinced school administrators to retest Colson: This time, they found he was ready for the diploma track. While district spokesperson Kristina Saccone declined to address the specifics of Colson’s case, citing federal student privacy laws, she said that the district is aware of these achievement gaps and is committed in its new strategy plan to addressing them. Among the plan’s strategic priorities is strengthening instruction for special education students. Coleman became one of the students to narrow that gap. He eventually graduated with a traditional diploma, and is currently enrolled at the University of the District of Columbia. Brown’s voice fills with pride when she talks about how her son excelled once he was placed on the diploma track. “His transcript looks so beautiful it’s scary. It starts out with him on the certificate track in ninth grade, and then he moves over to the diploma track, and there isn’t a single C or D on that diploma-track work,” she said. Brown is matter-of-fact when she talks about the sacrifice she had to make to ensure her son beat the odds, however. To help him succeed, she had to quit her own career. “I realize that if I didn’t leave the workforce my son wouldn’t be as far along as he is,” said Brown. Not all students are as lucky. Kenyatta Burns’ story highlights what happens to the many black students in special education who don’t have a parent in their corner, let alone one who is willing and able to quit their job and devote themselves full time to advocating for their child. As a child, the now 20-year-old North Carolina native was in and out of foster care and often struggled with behavior problems. Eventually, she received a diagnosis of ADHD and bipolar disorder. The diagnoses should have triggered extra supports at school, but Burns said that much-needed help never materialized. While Burns struggled at a Durham, North Carolina, elementary school, she says she began to catch up academically after she transferred to a middle school in nearby Raleigh. But her success was short-lived. She ended up back at Durham Public Schools in eighth grade. That year, the school didn’t ask her to take any end-of-course exams. Instead, she was put in a room to watch movies while other students took their tests. She was passed up to ninth grade anyway. At the end of ninth grade, Burns’ mom gave her a choice: go to school full time or work full time. She picked working at a McDonald’s. 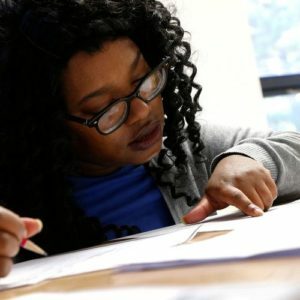 Since making that decision, Burns has changed course, and is now pursuing a high school equivalency degree, with tutoring help from the Durham Literacy Center. When she started going to the center two years ago, she said, she didn’t even know how to multiply whole numbers. She added she’s learned a lot — including how inadequately the public schools prepared her. “Now I thank God, I didn’t let them skip me up. I would have had a high school diploma, [but] would have never known how to … use my commas, put in periods, capitalize words,” she said. The tutors at the literacy center work with Burns one-on-one and are patient when she doesn’t understand something. “That’s what I wish I would have had in high school,” she said. “An IEP doesn’t mean that you’re slow, it just means you have a hard time learning things,” she added, referring to an Individualized Education Program, a set of documents, services and supports given to all students in special education. So far, Burns has passed the language arts portion of the high school equivalency exam and is hoping to go into real estate when she finishes the other sections. Chip Sudderth, chief communications officer at Durham Public Schools, confirmed in an email that Burns had been a student in the system. Sudderth said that the majority of students receiving special education services are on track to receive a regular diploma and spend the bulk of their time in classrooms with their general education peers. The unique needs of each student are determined by a team of educators, the parents and sometimes the student. The New York City Autism Charter School is, by its very existence, challenging the way both the city’s charter and district schools educate students with profound special needs. The school — which opened its second location in the South Bronx this fall for 12 children with moderate to severe autism — belies a common critique, true or not, that charters don’t use their flexibility to serve kids who need the most help; an argument often parroted by Mayor Bill de Blasio and United Federation of Teachers President Michael Mulgrew, among many others. The Autism Charter also offers a broad challenge to the way autism education is funded at the local, state and federal level. 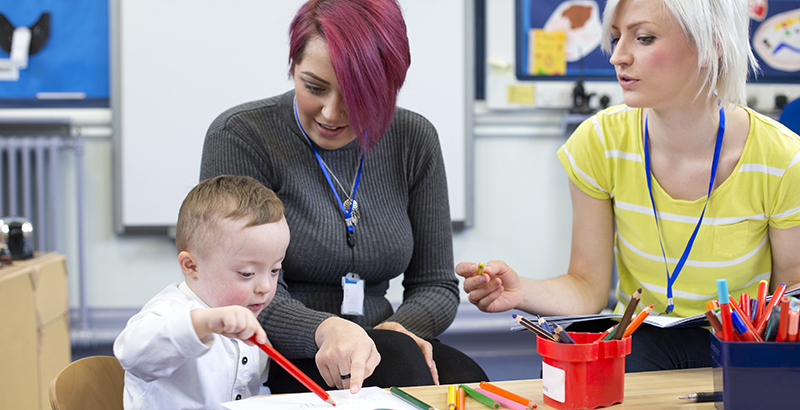 The school, which has won praise from experts on all sides of the charter debate, demonstrates how children with the most severe needs can be educated in a public setting, rather than in the private schools where many affluent parents manage to send their children with disabilities. And as the rates of autism diagnoses rise dramatically, the school could have influence far beyond the 44 students it serves at its East Harlem and Bronx outposts. Though the school’s mission puts pressure on the rest of the charter sector, the Autism Charter is as apolitical as any charter in New York City. On a recent morning at the Bronx school, the Autism Charter’s director, Julie Fisher, said she’s content to stay out of the volatile world of education politics. The school stands apart from the city’s district and charter programs for autistic children for the staff’s level of specific expertise in autism, and for the school’s practice of matching every student with their own teacher or paraprofessional. Even the most specialized public settings typically have two teachers for every six students. At the Autism Charter’s Bronx outpost, a set of locked double doors on the second floor of a hulking brown school building opens to a pristine, bright hallway where children zip up and down on colorful scooters. On their scooters, kids learn to respond to “stop” and “go,” practice their balance and blow off some steam. In Fox Street, a classroom named for the school’s block, one boy who had spent the first few weeks of school swatting at his teacher was being cuddled and tickled by his teacher. A girl who has not demonstrated a grasp of language was at the other end of the room, playing a game called Seek-A-Boo to help her match symbols to activities, in order to develop a daily schedule. In the Simpson Boulevard classroom, where students with the more moderate needs were working on math problems, one boy explained that he was going on a field trip to the Bronx Botanical Garden later that week. He said he was looking forward to seeing the Venus flytrap, his favorite plant, using his fingers to imitate the motion the carnivorous plant makes when it traps a bug. 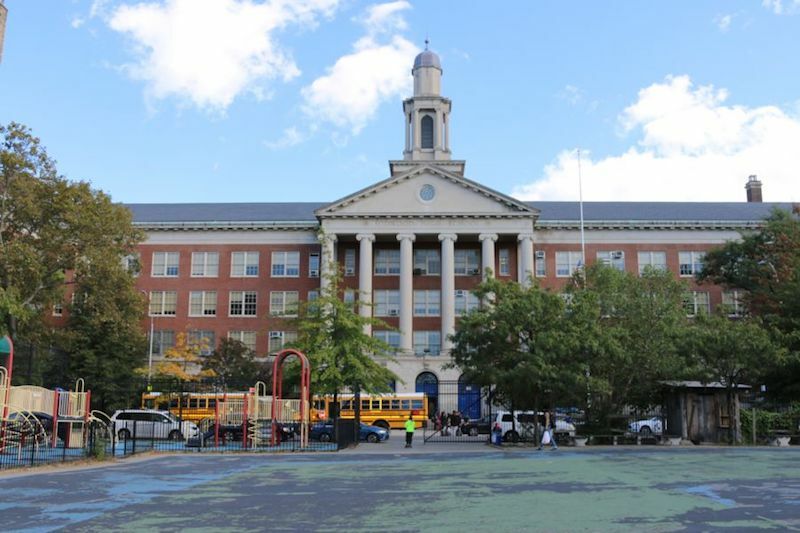 Officials said that student may make enough social and academic progress this year to be integrated into some general education classes at South Bronx Classical Charter School, which shares a building with the Autism Charter. Throughout the day, students filter out of their classrooms for a lesson at the school’s weathered piano. Children match piano keys to letters or colors to build songs. Every student has customized piano instruction, but three-note songs like “Hot Cross Buns” are popular. “If they recognize a tune, they’re happy,” said Eileen Buck, the school’s piano teacher. Framed photos of the Center’s students crowd the piano’s mantle. Fisher’s school could likely only exist as a charter, outside the bureaucratic strictures of traditional public schools where teachers are free to adapt to a child’s specific needs in real time. Dr. Catherine Lord, the director of the Center for Autism and the Developing Brain at Weill Cornell Medicine/NewYork-Presbyterian, offered an example. She’s worked with staff who were under strict instructions to never touch a child — so when they once saw a young child with autism walk out a front door, they were initially hesitant physically stop the child from wandering. “This is an art, it’s not just a science,” said Ilene Lainer, the president of the advocacy group NEXT for Autism which creates services and programs for people with autism. “This work really requires professionals who understand the differences between one child with autism from another,” said Lainer, also a member of the Autism Charter’s board. While the autism charter expands what the charter model can do for high-needs students, its growth also sheds light on what the rest of the local charter sector is — and isn’t — doing for the city’s most vulnerable children. The charter sector’s political foes have long accused the schools of not serving students with disabilities, an accusation often contradicted by statistics. Still, there is growing concern within charter movement that charters aren’t taking advantage of their inherent freedom by serving more high-risk students. “Charter management organizations in New York City have led the charge in improving outcomes for low-income students, but they have not yet done the same for students with [disabilities]. They should,” Noah Mackert, the literacy director at the charter network, Democracy Prep, wrote last week in an op-ed for The 74, an education news outlet. Some of the city’s biggest networks have recently introduced pilot programs aimed at addressing the issue. This fall, Achievement First, which has 20 schools in Brooklyn, opened the Bushwick Empower Program specifically to serve students with disabilities, including children on the autism spectrum. Democracy Prep recently opened Pathways, its program for low-income students with disabilities, which currently serves 32 students. KIPP NYC has added new supports for special education students, including hiring more special education certified teachers and more training for teachers to work with students with special needs. Success Academy, the city’s largest charter network, includes its students with autism both in integrated general education classes and in small class settings with 12 students and two certified special education teachers and has increased the number of small classes for students with disabilities. The New York City Charter School Center has also developed the Special Education Consortium to help more charters educate students with special needs. But much of this work is still preliminary, and the Autism Charter remains the city’s sole charter option for students who are the most profoundly affected by autism. The sheer scale of need for high-quality public options for autistic children has left the Department of Education scrambling to open new programs. Last year, there were 20,450 students in New York City on the autism spectrum; 17,015 were educated in a district or charter school. The majority of those students — about 11,000 — are educated in District 75 schools, the city’s district for students with the most advanced special needs. Autism experts say there are high-quality District 75 options, but that some programs serve students with a variety of disabilities, rather than autism specifically, and that programs’ structures can be restrictive for some teachers. 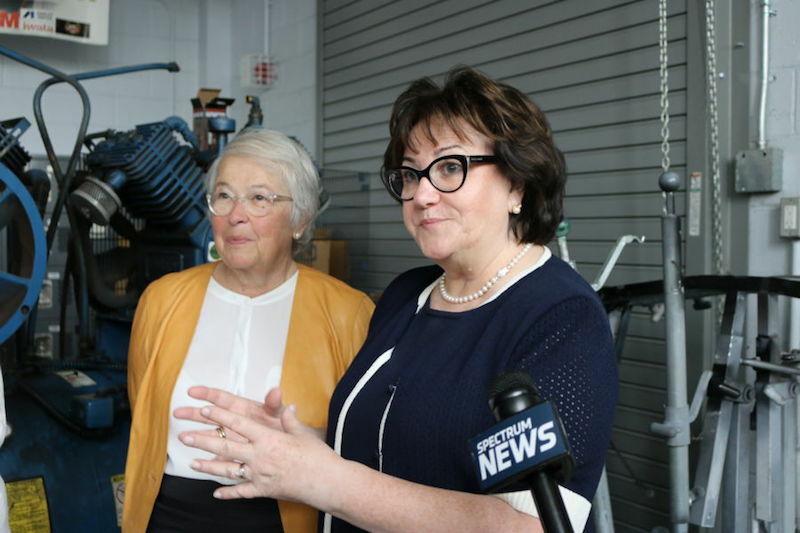 City schools chancellor Carmen Fariña has embraced and expanded a popular program known as ASD Nest, which embeds about 1,000 high-functioning students with autism into general education classrooms. ASD Horizon, which serves students further along on the autism spectrum, serves about 450 students. Horizon programs typically have eight students and two teachers, and some Horizon students are eventually able to move into general education classrooms. But the size of the Autism Charter’s waitlist makes it clear that some parents of children most impacted by autism are looking for programs outside the district. The Charter’s East Harlem school, which serves 32 students, has a waitlist of 108 families for three open spots. The school’s popularity and model has proved popular among a wide variety of the city’s education leaders and politicians, some of whom are otherwise critical of charters. City Council Speaker Melissa Mark-Viverito has visited the Autism Charter’s East Harlem school, which is in the Council district she represents. “All students — especially the most vulnerable — deserve access to quality education, and the New York City Autism Charter has been a welcome addition to the El Barrio/East Harlem neighborhood,” Mark-Viverito said. The de Blasio administration, which has sought to repair its relationship with some charter leaders after a damaging fight over charter space in 2014, has identified the Autism Charter as a prime example of the type of charter school it supports. “The New York City Autism Charter School has done incredible work on behalf of their students and families and we look forward to finding new ways for us to collaborate and share best practices with their schools and staff,” Melissa Harris, the senior executive director for the Department of Education’s charter school office, said. Other autism experts say they’ve been impressed with the Autism Charter’s ability to educate children with profound needs so well in a public school. “The more of these schools that could exist in a public school setting, the more money the taxpayer would save,” said Lord, of the Center for Autism and the Developing Brain, rather than paying for students with the most serious needs to attend private schools, she said. The schools’ students will likely need fewer public services, including hospital visits, later in life. Students on either side of the autism spectrum are better represented than they were even a few years ago, experts say, with the expansion of Nest and the Autism Charter. But students in the middle still need more high-quality seats, Lord said. The NYC Autism Charter School might be the only public school in the city to set up shop in children’s homes. Teachers visit families to help students potty-train, eat more than one food, or take vacations — seemingly simple tasks that can be incredibly challenging for children with autism. For Carol Santiago, putting her then-5-year-old son Ralphie to bed was a two- or three-hour ordeal every night. First, she and her husband read a story to Ralphie, then sang a song, reread the same story, and sang a different song. Repeat. If they did not follow the routine as Ralphie prescribed, he refused to fall asleep in his bed. The late nights took a toll. Midnight passed, Ralphie was still awake, and the couple dreaded the exhaustion they would both feel at work the next morning. The couple rang the school, located in East Harlem, where Ralphie had enrolled only months before. Not long after, Ralphie started going to sleep easily in his room. Eleven years later, Santiago, the school’s board president, credits the school with helping to raise Ralphie, now 16, who is still enrolled there. “It’s like a second home for my son,” she says. With 32 students and 28 full-time classroom instructional staff, the school operates year-round, save for a two-week break in August. Five of the eight classrooms have just four students, one certified special education teacher with a master’s degree, and three instructors. The school’s least restrictive classroom — four students, one certified teacher, and one instructor — is reserved for older students who are able to benefit from group instruction for most of their day. The home visits are part of the school’s holistic, individualized approach to autism. The school collaborates with parents to figure out what is best for their children, because if a child is doing well at home, he or she is going to do better at school. A sense of urgency is also a driving force. Students age out at 21, so there is a race against the clock to prepare students to live as independently as they can. Equipping children and parents with the skills needed to go about daily life means pushing students to break their repetitive behaviors and adjust to situations they find uncomfortable, says executive director Julie Fisher. Once a month, the school holds clinics with parents to discuss students’ academic and social progress as well as future goals. The clinics sometimes include on-the-spot training — for example, showing parents how to get their children to stay with them while walking. The clinics inform home visits, shape what children do in class, and dispense practical advice that parents rarely get elsewhere. “Our level of involvement and discussion and dialogue and feedback with parents means that they are aware of everything that’s going on,” says Fisher. It was through one of the clinics that the school learned of Ralphie’s fear of all things automatic. He was 10 at the time. Routine excursions with Ralphie became trying. He threw tantrums, ran away and talked to strangers, or touched items that did not belong to him. So the school stepped in. “His teacher scouted out automatic flush toilets in the vicinity, we had his mom come, and we did a day of traveling into the community to teach him to tolerate the flushing. His teacher developed a special reinforcement system, carried it over to mom, and now it’s not an issue,” says Fisher. The school deals even with delicate matters, such as how to use a restroom independently, brush teeth, or shave, because avoiding them, Fisher says, is not in students’ best long-term interests. “When I hear stories of teenagers with autism coming out of high school in diapers, it makes me so sad,” she says. Because the school is small, staff members can immerse themselves in the lives of students and their families. It does not use outside providers, such as speech or occupational therapists, because the teachers are able to address needs within these areas using intensive applied behavior analysis instruction, which is unusual among public schools in the city. All staff members are trained in this method, in which tasks are broken down into small parts and taught systematically using reinforcement to reward success. Every year, students are formally assessed on language, communication, and social skills. The school tries to transition students into less restrictive environments if their progress shows they can succeed in larger classes — sometimes even helping them transition to schools that aren’t focused on autism. Catherine Lord, director of the Center for Autism and the Developing Brain at New York Presbyterian Hospital, Weill Cornell Medical College, and Columbia University Medical Center, praises the school for its balance of academics and life-skills training. According to a report from the A.J. Drexel Autism Institute, young adults with autism are more likely to be unemployed and socially isolated than people with other disabilities. Two-thirds had no job or educational prospects two years after high school. At 16, the school’s students start working in jobs or internships at places including White Castle, Shake Shack, Facebook, and the local nonprofit DREAM (formerly Harlem RBI). Word of mouth, Cray says, has paved the path for additional job opportunities for students. By teaching students to be self-sufficient, and allowing them to interact with the local community, the school increases the chances that children with autism can forge lives beyond the classroom. And, because the school’s students do not age out at 18, as kids at traditional public schools do, they get three additional years of education and job experience, increasing their likelihood of success. Ralphie arrived at the school lacking functional language skills, unable to use words to express his needs and wants. Today, he speaks well and is easily understood by others. He uses public transit by himself and has held four jobs and internships. His facility with technology got him internships doing office work and data entry at El Museo del Barrio and DREAM. Charter management organizations have revolutionized education in New York City. Will they do the same for special education? In New York City, charter management organizations like KIPP, Uncommon Schools, Achievement First, Democracy Prep, and Success Academy have raised the bar for public schools in low-income communities. Each of these organizations was founded to address the gap in college access between students of privilege and students without, and although the job is not finished, I am convinced that they have done more to narrow it than any other policy intervention. Whatever one believes about their overall mission — or the flavor of their instructional methods — it is undeniable that, by attending one of these schools, the average child from a working-class family in Harlem has a significantly better chance of finishing college and entering the middle class than he or she would at a non-charter alternative. But what about the child who is not “average”? There is some evidence that students who have been assigned Individualized Education Plans in response to being diagnosed with a disability learn more and are more likely to be declassified as special-needs at the most effective charters. Yet it is no secret that students with special needs do not graduate from these schools in representative numbers. While many schools in these networks take in roughly the same number of students with IEPs as traditional public schools, their attrition rates can be high. 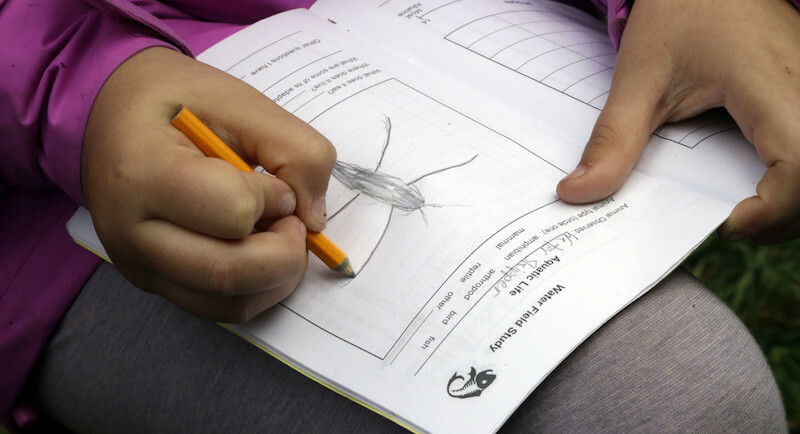 Critics of charters assert that this is by design; students with IEPs, they say, lower the school’s test scores, so they are expelled, repeatedly suspended, or “counseled out.” The truth, in my experience, is that even the best schools, charter or not, struggle to build the right support systems for students with special needs, and parents transfer them often in search of a good fit. Here’s how it happens. A few years ago, a student I’ll call Del won a spot at Democracy Prep, the Harlem-based charter management organization where I work. I taught seventh-grade writing at the time, and I remember him in class: quiet, kind, insightful. But rarely there. I didn’t see him for the first two weeks of school, and when he did start coming, he was usually late. Experienced teachers won’t be surprised by the reason. One day I asked him to stay after school for a quick diagnostic test, and I learned that it wasn’t just that he had trouble understanding what he read; he couldn’t sound out the words. Most children learn how to do this naturally, just by reading, but some don’t. Some are dyslexic. 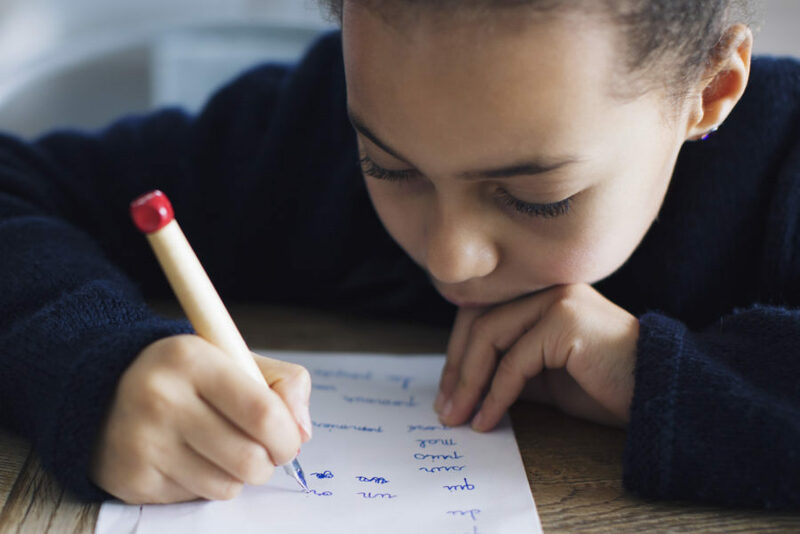 These children need more explicit instruction in phonological awareness, or phonics, and if it is done early, in first and second grade, and followed up with accommodations like books on tape and extra time to finish assignments, they can thrive. Del, unfortunately, had already spent more than seven years in school, learning little and hiding his reading difficulties as best he could. This caused two problems. The first was that middle school teachers in city schools, even special education teachers, often do not know how to teach such basic reading skills, so it was not clear who would be able to teach Del phonics. The second problem was that, after seven years of failure, Del’s confidence was badly damaged, he loathed coming to school, and he was rightly skeptical that we could help him. After our meeting, I told Del that I would teach him how to read if he could just stay after school for 30 minutes each day. This would be in addition to my full load of teaching writing to 120 seventh-graders, but I didn’t know how else to solve the problem. He agreed, but he didn’t come to school the next day. Or the day after. For the rest of the month, he showed up so infrequently that it was difficult to get a program going. Phonics instruction, especially for older students, requires a lot of practice and repetition for it to work, and Del was receiving it so infrequently that I kept having to review the first lessons. By the end of the semester, he was failing every class, and by December his mother had transferred him back to his neighborhood public school. We had not counseled him out, but we knew we had failed him. It was not a failure of will or energy; it was a systems failure. I believe that if we had diagnosed him earlier, and taught him what he needed earlier, while more directly addressing the trauma caused by seven years of failure, taking deliberate steps to make sure he felt part of the community, he would not have transferred. Dyslexia is the most common form of learning disability; by some measures, it affects 1 in 5 children. Yet few NYC schools, charter or not, even screen for it, and even fewer intervene effectively. The same can be said about less common disabilities such as expressive and receptive language disorders, dysgraphia, autism, and intellectual disability. Fortunately, some charters are beginning to innovate. 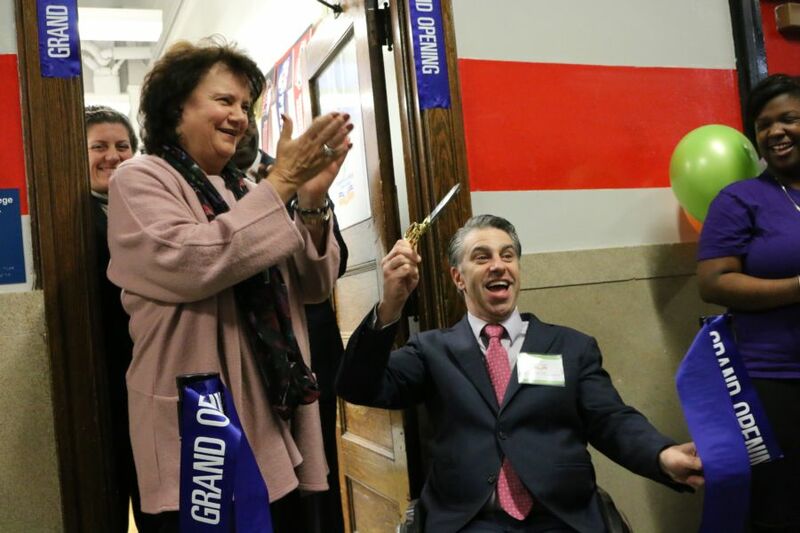 Both Achievement First and KIPP have begun pilot programs for students with disabilities. In 2015, Duncan Scherer, whose brother was born with profound disabilities, founded a program at Democracy Prep called Pathways. He designed it with students like Del in mind, students who he knew could succeed at our schools, rigorous as they are, with the right academic and emotional supports. I joined in this effort as director of the literacy program. One of our initiatives was very simple: screen our students for dyslexia — a term that, until recent legislation, did not even appear on IEPs in New York City, having been struck from the latest edition of the Diagnostic and Statistical Manual of Mental Disorders, the DSM-5 — and teach phonics to those who needed it. Last year, our students improved an average of two grade levels on the widely used Measures of Academic Progress assessment, an adaptive test that can show growth happening even if it’s far below grade level. This year, we are scaling up the practice to all Democracy Prep’s NYC-based schools — elementary, middle, and high. Improving our instruction for dyslexic students is just a first step. Parents of all students with special needs should be able to see their children graduate from high school — and a postsecondary institution of their choice — without having to win a voucher or file a lawsuit. Charter management organizations in New York City have led the charge in improving outcomes for low-income students, but they have not yet done the same for students with IEPs. They should. Not because it will raise their test scores, or improve their graduation rates, or lower their suspension rates, or improve their public image — though it will do all those things — but for a simpler reason, one that predates charter schools and transcends politics.